Spectra se ha dedicado a innovar sistemas y soluciones de almacenamiento durante casi 40 años. Driven by security requirements, Picture Archiving and Communication systems (PAC), and regulatory concerns, Healthcare IT must stay ahead of compliance with data protection solutions. Spectra Logic, the leading company, solely dedicated to data archive, backup and deep storage, provides easy-to-use, cost-effective solutions that enable Healthcare IT to comply with HIPAA privacy and retention requirements mandated for stored data. Spectra Logic deep storage adds an extra layer of data security with integrated AES-256 bit encryption, which transparently performs encryption easily and cost effectively. Save both time and money with Spectra Logic’s long-term scalability options, industry-leading data density, and integrated intelligence that proactively conducts data management operations to save valuable time and resources. Cloud storage is traditionally used for offsite backup, data distribution, and archiving. While it has many benefits, public cloud also raises security, compliance and control concerns. Today, many organizations are benefiting from a hybrid cloud storage model in which some data is stored in the cloud and some stored using on premise disk and tape solutions. 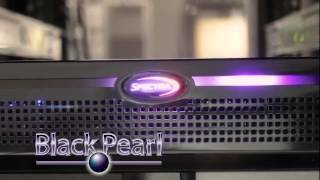 Spectra’s BlackPearl Converged Storage System enables massive amounts of data to be stored forever, at virtually no cost, and now includes cloud storage as yet another controlled storage option. 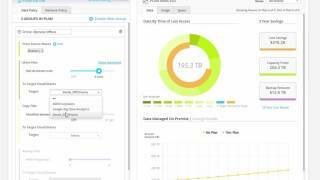 In fact Spectra’s BlackPearl integrates directly with Amazon S3 Standard, and Standard – Infrequent Access (Standard-IA), and is one of few products that will automatically restore data archived to Glacier. Spectra’s BlackPearl provides a powerful, self-contained, policy driven solution for all types of archive and tiered storage both locally and in the cloud. Link to press release. Over the past decade, the volume of surveillance video being recorded, indexed, and stored has increased significantly. 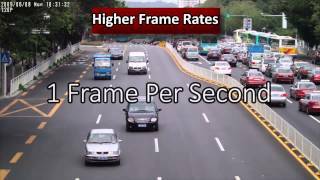 There are multiple operational demands driving this increase, as well as the widespread demand for video surveillance. 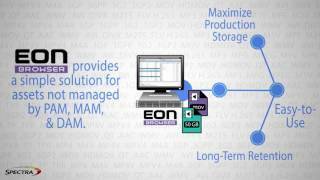 Spectra Logic’s archive storage solutions are designed to solve the problem of costly and complex approaches to digital preservation and seamlessly integrates with industry leading VMS software. These solutions provide compliance and affordability to organizations with complete control of their data through a simple workflow that manages both short term and long-term retention. Your high performance environment continually tests the limits of technology and requires peak performance from all of your equipment—including your storage. Spectra’s data storage solutions help you push the boundaries of your operational objectives, giving you cost-effective storage that meets all of your performance, growth, and environmental needs. 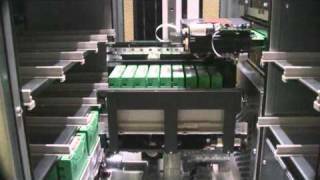 Spectra Logic builds some of the world’s largest storage systems. 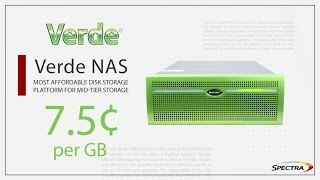 Spectra® Verde® NAS Solution is the optimal disk platform for the storage of mid-tier data, including primary storage offload, data staging, backup and archiving. Flexible, simple and affordable, the Spectra Verde delivers file storage for as low as 7.5 cents per gigabyte. The expandable Verde disk solution provides raw storage capacities from 48TB to 7.1PB. Designed for a variety of workloads, a single Verde solution supports three different disk drive types, including 4TB, 8TB and 12TB enterprise drives; 8TB archive drives; and high-performance SSD drives. Reliable, economical and archive-ready, Spectra Verde simplifies the data storage process.